HERITAGE IRISES has been around in the blogosphere for over four years now and its hard to imagine my life without it. (sad huh). 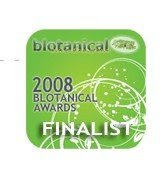 The bloom season for me in 2011 was erratic and many New Zealand growers reported a bloom season that came late by 2 weeks. At home, not only was it late, it all came at the same time for the Standard Dwarf Bearded and Intermediates, Dutch and English Irises and early flowering Tall Bearded. Then the strong Nor-westerly winds of up to 140 kph wasted the iris bloom several times during the season, and about half the Irises did not bloom at all, so all and all a disappointing bloom season. 'Heritage Irises' measured success and the many Google #1 page ranks it has received for subject matter has been achieved without links from Iris Societies web sites making visitor numbers accurate and avoiding 'Iris Churn' also Google does not track my own page views. Referring sites are almost all search engines. The Internet is not the "be-all-and-end-all", nor is it going to be, it's a telephone party line, a broadcasting medium, an Archive, a Library, a Botanical Garden, a Public Park and the Garden Centre. Sure, it puts a digital spin on each of those things, but it's fundamentally the same, not fundamentally different. I don't have, facebook, twotter, squidly or any other of the try hard so called 'social media' bunk, if you want social networking, go to a cocktail party, a community barbecue, a street party, or try and overthrow a government. My awards this year are somewhat like the 2011 European Economy, on negative watch sprinkled with a small amount of positive. MY 'I DONT THINK SO AWARD' for 2011 was a copy of a report sent to me regarding a Iris Website which included the following point of interest, "If the society were to pay for a site like this it would be spending between $5,000.00- $10,000.00". Now having visited the said Web Site I cannot see where one thousand dollars could have possibly been spent on it let alone ten times the quoted value. Web Sites are so Static and when will some web-masters get to understand that unless its new and informative and current, visitor numbers will just fade away. THE 'LETS COMPLAIN SOME MORE AWARD' goes to a editorial comment which is a bit of an old chestnut actually, and no doubt you have heard it before. It goes something like this, "send more information and photos after all this is your bulletin blah blah blah." I always smile when I read these articles and you may hear me mumble "What's the big deal??? Write a Blog you have to do it all yourself !!!" THE IRIS LIKEJACKING AWARD for Tricking users of a social media site, especially on Facebook, activated by clicking a “like,” “fave” or “thumbs up” button goes to the AIS Facebook Page. 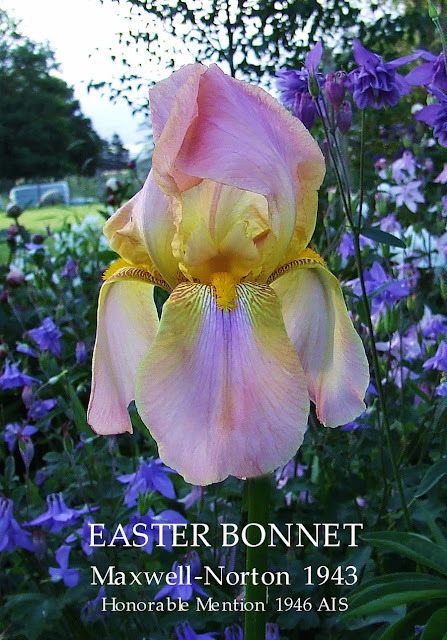 To view the American Iris Society Facebook pages the Welcome page message currently reads "The American Iris Society. Please click, "Like," above, to get started, then go to the Wall tab to browse around. Thank you for visiting." WORST OF THE WORST AWARD, goes to selling Irises on the internet for a 'Trade Me' listing of a common garden Iris Pallida hybrid listed as "One (1) Rare Spring Flower Lilac Blue Bearded Iris" I mean what is rare about it?? not sure if it is just a selling point or the seller needs to get out more often or just lives in a plain old fantasy world. The majority of Iris listings on Trade Me are most likely to be genuine but sellers who use photos that are not theirs to use (Its Called Theft) always makes me think that maybe the iris they are selling is not what they say it is, and after all the purchaser is going to have to wait until next bloom season to see if they are genuine or not, why take the risk!!! It never ceases to amaze me the amount of coin some people spend purchasing Irises on 'Trade Me' when they could buy the same Iris for many dollars less from a Commercial Grower and in most cases get a better rhizome with a guaranteed name. MY 'RECOVERING LUDDITE FOR 2011' would have to go to a Publicity Chair who recently labelled members without a computer as "Internet Challenged" and insulting the members who made observations regarding the error of his ways by informing them that "complaining is their art form not producing results". 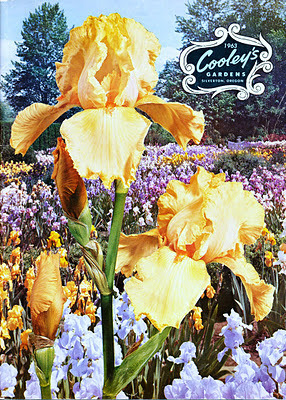 Reading the latest NZ iris clubs 2011 booklet, (I do this so that you don't have to.) the club has lost its editor and does not have a replacement, so potentially there will be no publication, and will anyone be sure if the membership will notice. While we are on the subject of the NZ iris club I received anonymously in the mail a few days ago a complete set of the last seven years of NZ iris club booklets. My first thought was that I could wrap them up for the office Secret Santa, but that just seemed a bit cruel for the potential recipient. It took me awhile, but I figured that they where sent to me as a sort of 'Chain Booklet' so I added the years 2001 to 2002 to the parcel and sent them on to someone I am sure firmly believes that there are fairies at the bottom of the garden and so its quite possible that he might try and see some merit in the parcels contents, but I'm not holding my breath. Anyway Merry Christmas to all of you, and thanks for your visits to the blog, for your understanding when I have my rants and raves, thanks to the comment makers, also to those who don't comment but often visit to read, Thanks to the Worlds Iris Hybridisers both past and present for whom I have the utmost respect,to the contributors of Photos, and also to the International readers and contributors. All the Very best for 2012 and may your New Year be full of family, Irises, laughter and love. See you later and thanks for 2011. Tall Bearded Heirloom Iris "EASTER BONNET"
Bred by Luke Norton and Alexander Maxwell both of Yakima Washington, "Easter Bonnet" is a no fuss heirloom iris I found in a paddock growing alongside an old dilapidated house that is still been used for storing hay, it was fighting for survival amongst the tall grass an indication of its will to survive. Sun fast flowers on tall branched stems, with high health glaucous green foliage. It's a sixty eight year old Iris, that inherited its classic form from both its classy parents, the pod parent bred by Dr P.A.Loomis' is the large rose-pink self, "Morocco Rose" this was crossed with "Alastor" the deep cyclamen pink with an underlay of gold bred by R.E Spender who was the Editor of the Iris Year Book (BIS) 1932-1939, and also co-authored the book,' Iris Culture for Amateurs' (Country Life Ltd,1937). Often photos of Easter Bonnet are sent to me enquiring if it is a lost "Jean Stevens" iris which it obviously is not, but I have no doubt she would have been very proud to raise it. A bright and elegant historic Iris that you’ll find yourself drawn back to time and time again. Tall Bearded Iris "LUNAR FIRE"
American Iris breeder Dave Hall was renown for his breeding of irises with tangerine beards. 20 years after he introduced his first flamingo pinks with tangerine beards 'Lunar Fire' was introduced. It's a beautiful flower, good substance and very full, the petals are just slightly laced at the edges, and of medium size when compared to more modern irises. The colour is best described as pale apricot with tangerine red beards. Height is 90 cm or 36 inches with average branching. Grows well at home with moderate increase but can sometimes miss a bloom season. A solid and stunning coloured Historic Iris which was sold until recently commercially in New Zealand, I purchase my plants in 2006. LUNAR FIRE (D. Hall, R. 1963). Sdlg. 59-107. TB 36" M. YO5. Golden amber self. From two yellow sdlgs., Cooley 1963. HM 1964. Featured in color on our cover. . . . a big, spreading, lace-edged flower of golden amber hues, the sharply contrasting beard a blazing tangerine red. Dave Hall worked for years breeding this series and this one has been singled out as superior to all its kinfolk. In addition to form and size it has petals of extra heavy thickness and very stout well-branched stems. No. 59-107 . 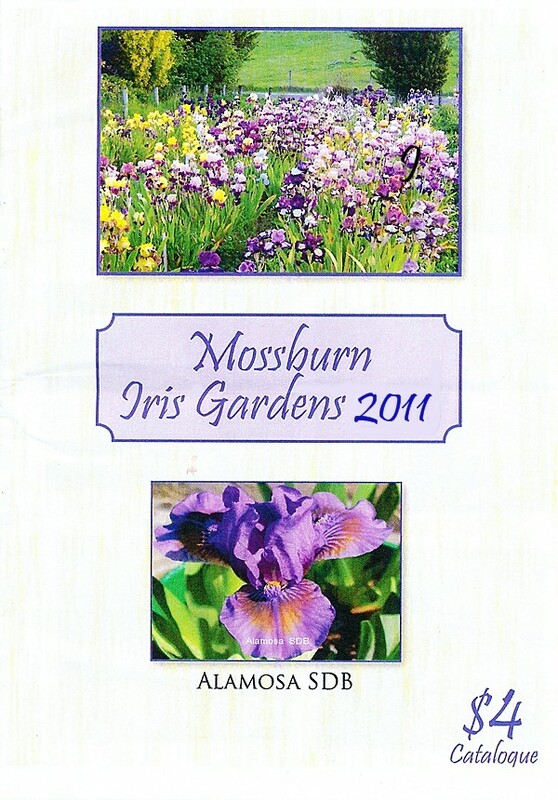 Each $25.00"
New Zealand Iris Grower "Mossburn Iris Gardens"
After receiving the Lucy Delany Award in 2010, the Standard Dwarf Bearded Iris 'Alamosa' featured on this years catalogue cover received a Highly Commended award at the New Zealand Iris society Convention 2011. This years catalogue introductions are HENHAM, KIM MAREE, KINKAID, and SAY SO, four new SDB registered by Noel Lapham. The cold climate of the gardens, produce Medium Size rhizomes which are of good health. Irises purchased from 'Mossburn Iris Gardens' will adapt well to growing in your garden wherever it is located in NZ. Prices are competitive. 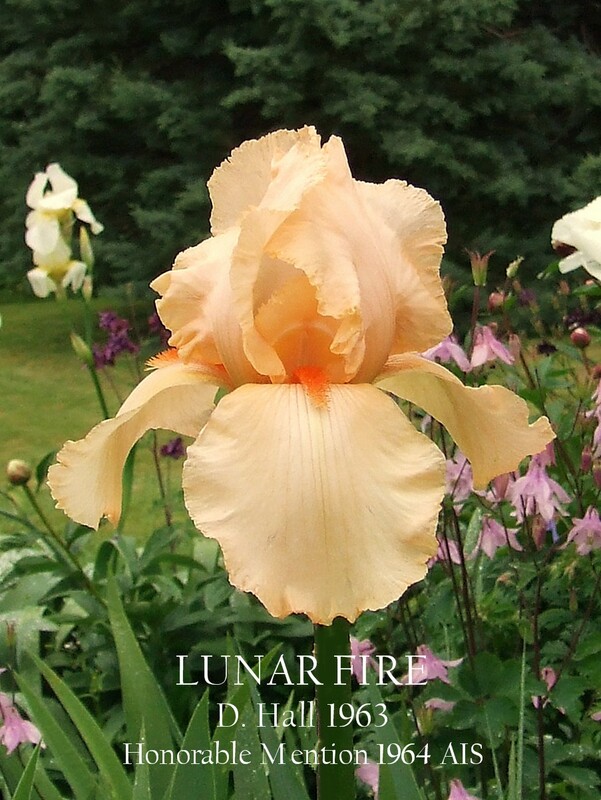 Catalogue lists a good selection of Miniature, Standard, Border, Intermediate, and Tall bearded Irises, manly modern irises and of course the introductions of Noel Lapham. I have featured Noel's outstanding introduction 'Prize Lady' in an earlier post. Bev and Noel Lapham are the owners of Mossburn Iris Garden, Southland, who are good to deal with and answer emails generally within 24 hours. Catching the early morning sun, nearly said it all!!!! 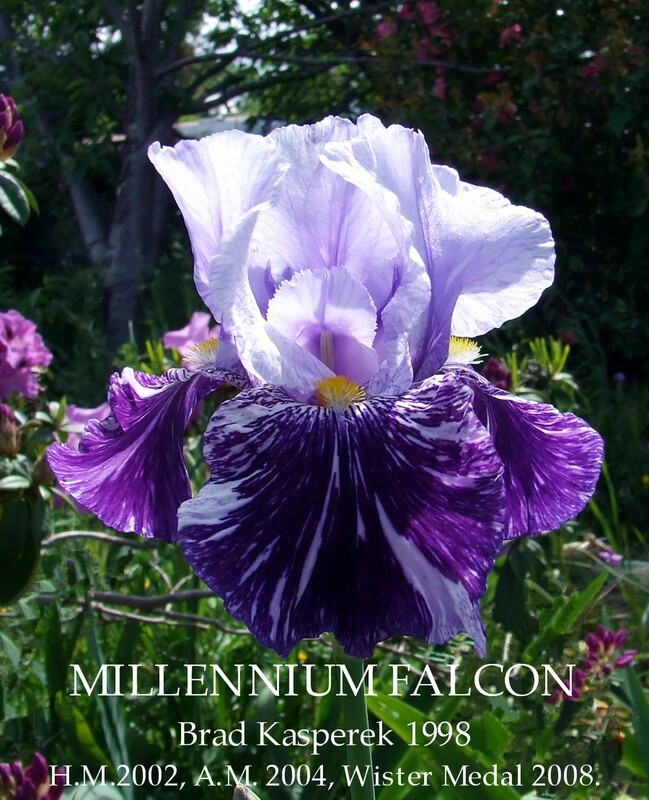 Visitors to the blog know I have a strong affection for Broken Colour Irises and 'MILLENNIUM FALCON' would have to take the cake, it is an extraordinary strong Iris that ticks all the boxes. Anyway I could wax lyrical regarding this Iris but, the master of reviews 'Perry Dyer' writing in his CONTEMPORARY VIEWS – 2002 already beat me to the punch and it is his compendious point of view that I have copied for you all below. Say's it all don't you think!!! MILLENNIUM FALCON (Brad Kasperek, registered 1998) Seedling 94B-23C. TB, height 38" (97 cm), mid season bloom. Standards light wistaria blue (RHS 92A), silver white (155D) streaks; style arms violet blue; falls rich royal blue (89B), silver white streaks; beards orange, hairs tipped blue; broken color pattern; ruffled; slight fragrance. 'Gnus Flash' X 92B-49Z: ('Batik' x 89B-42E: ('Rustic Dance' x 'Maria Tormena')). Zebra 2000. Honorable Mention 2002, Award of Merit 2004, Wister Medal 2008.